IRS Form 433-A (OIC) – This form is used for individual taxpayers who want to submit an Offer in Compromise for their individual tax liability. The content offered on this page is for informational purposes only. 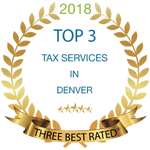 If you are in need of professional tax services, please reach out to our offices at (720) 897-1576 or schedule a 30-minute consultation.